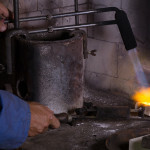 The gold melting process takes places in furnaces that can reach very high temperatures. 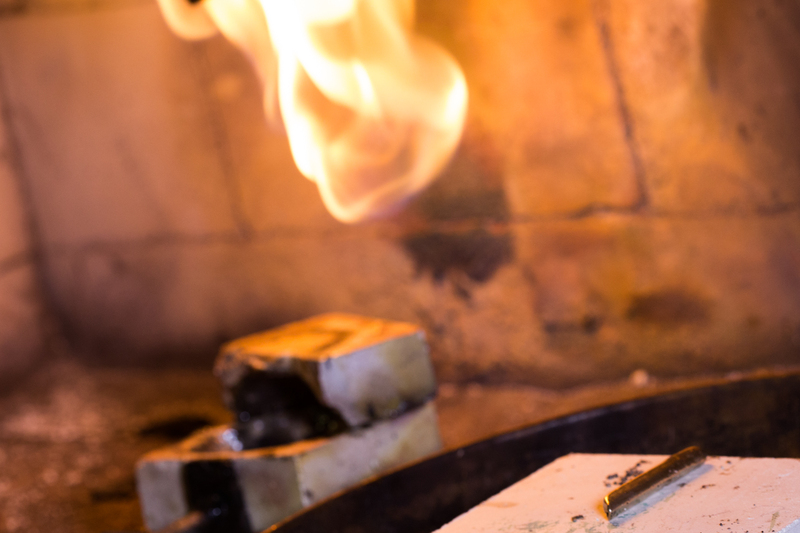 The Melting Point of gold, that is, the temperature at which gold changes state from solid to liquid, is 1064 C°. 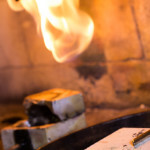 Small quantities of borax and saltpetre are also added into the crucible to facilitate the melting process; borax reduces the melting point of noble metals and protects against air oxidation and saltpetre, when added during the final stages of the process, helps making more fluid the molten material. Once reached the adequate temperature, the crucible is removed from the furnace and the casting process starts by pouring the molten material in cast iron or lead molds. Flaxseed oil is applied to the inner surface of the ingot molt to facilitate the removal of the valuable content. 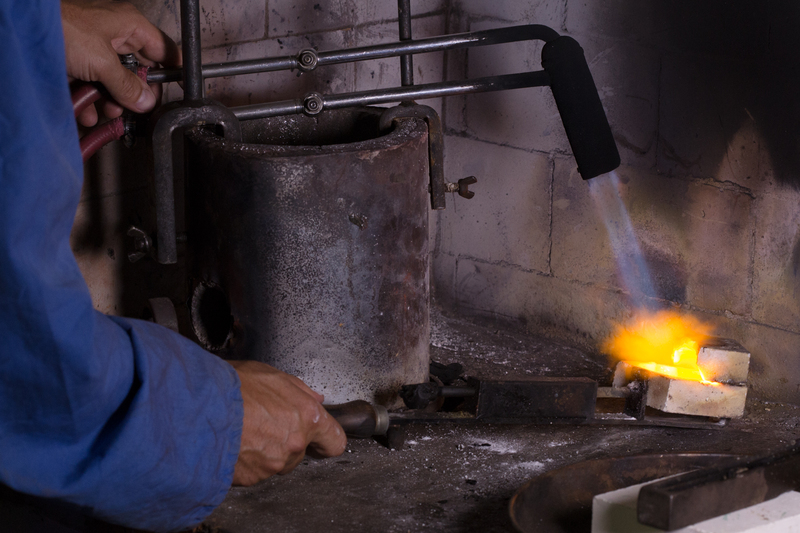 The molten gold needs to be poured quickly to avoid any uneven stratification before it solidifies. At the end of the entire process the final material needs to be analyzed in order to assess the gold content and its purity. Gold melting is a necessary process to refine gold. In fact, gold is usually mixed with other metals in order to increase the toughness and hardness of the metal or to create various color hues or give it a more brilliant finish. Through melting and the following procedures it is possible to recover the pure metal from gold alloys. The latter process is called “refining”. The “ unrefined” bar is then immersed in sulfuric acid to dissolve any contaminants thus becoming glossy and shiny. Finally, the gold bar is washed and prepared for commercial use.